PuckHead GM – Coming Soon! PuckHead GM is your chance to make the roster you’d like to see! You can take any NHL Roster, make trades, sign players, buy players out, or send them to minors. Make all of those moves and see what happens to the team’s Cap Space. What makes PuckHead GM different than other Armchair GM’s out there? PuckHead GM gives you some feedback, so you can tell if you’d make a good GM! This is your chance to prove to yourself and your friends that you could make the team better than the current GM. Share your rating with your friends and family and see which of you Puck Heads is really the best GM! Have a question about the NHL Salary Cap, CBA, or want to know how transactions happen in the NHL? 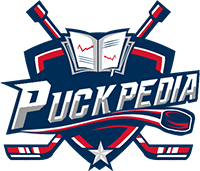 PuckPedia's Capologist answers your questions and gives you the information you need. Don’t wonder or speculate, ask the Capologist! Make sure follow @PuckPedia on Twitter.